Liked the location and scenery looking outside the window. Also enjoyed the pool and spa. Breakfast was good selection of food. Good. Nice reliable place to stay. Breakfast included. Where to find Blaeberry hotels near an airport? Where can I find hotels in Blaeberry that are near tourist attractions? If you are hoping to stay near the center of Blaeberry, there is a limited range of options. Downtown Blaeberry offers 4 Expedia-listed hotels within a 0.1-kilometre (0.06-mile) distance. 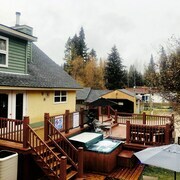 There are a range of accommodation options that are within a short stroll from Blaeberry's city heart, including the Blaeberry Mountain Lodge and Kicking Horse Kabins. 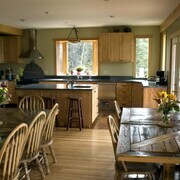 The Whispering Pines is located 15 kilometres (9 miles) from the heart of Blaeberry. 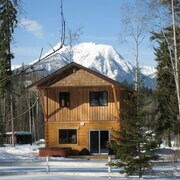 Or, alternatively, the Winston Lodge is located 14 kilometres (9 miles) away. 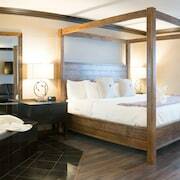 Alternatively you could make a booking at the Aspens at Kicking Horse Mountain Resort or the Copper Horse Lodge. Like to travel a little further afield? 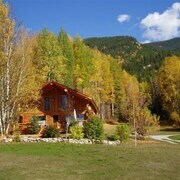 Kootenay Rockies offers many attractions. Visit Kootenay Rockies' art museums and history museums or admire the area's rivers, streams, lakes and wetlands. Adventurous visitors might also try their hand at snowboarding in this part of Canada. Consider spending an afternoon rubbing shoulders and cheering along with local sports obsessives at a local game. You'll find Golden and District Recreation Centre 16 kilometres (10 miles) to the south of Blaeberry. For tourists who are keen on booking accommodation close by, make a reservation in the Best Western Mountainview Inn or Prestige Inn Golden. If you are flying into or out of Calgary International Airport and are looking to stay nearby try Delta Hotels by Marriott Calgary Airport In-Terminal or Best Western Premier Freeport Inn & Suites. What are the most popular Blaeberry hotels? Are there hotels in other cities near Blaeberry? What other types of accommodations are available in Blaeberry? Explore Blaeberry with Expedia.ca’s Travel Guides to find the best flights, cars, holiday packages and more!